The city of Maresha is mentioned in the Bible during the time of the First Temple. During the Roman and Byzantine Eras the city became known Eleutherolis, a city of freeman with a large Jewish population. In modern times, the site was occupied by a Palestinian Arab village called Bayt Jibrin until it was depopulated during the 1948 Arab-Israeli war. Today Maresha is part of the Beit Guvrin National Park, where many of the ancient city's olive presses, columbaria and water cisterns can still be seen. 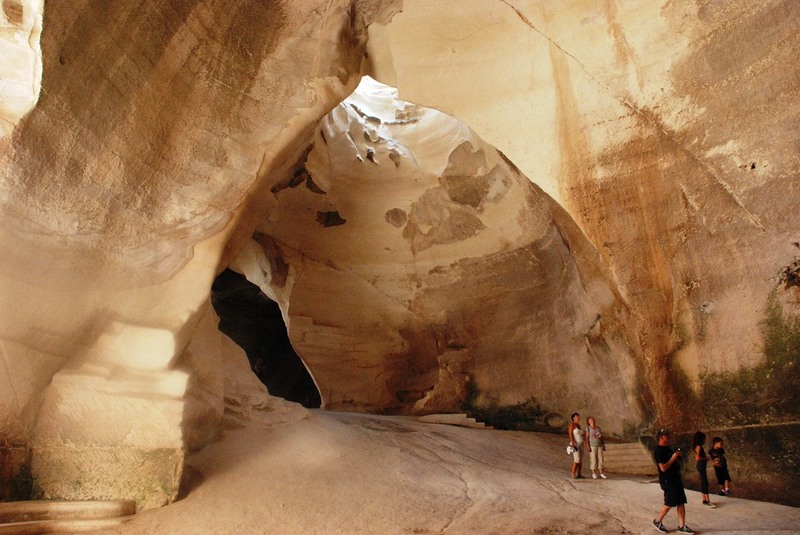 Some of the famous caves at Beit Guvrin are. This cave once served as a dove cote with tiny niches carved into the cistern walls to raise doves. Later during the Second World War, Polish soldiers in exile visited the cave and carved the figure 1943, the year of their visit, into a stone pillar, along with an inscription: “Warsaw, Poland” and an eagle, the symbol of the Polish army. A columbarium is a place to raise doves. The word comes from the Latin “colomba”, which means dove. The walls of this cave feature over 2,000 niches. The raising of doves was very common in the Judean lowlands during the Hellenistic period. Doves were used intensively – their meat and eggs as food and their droppings as fertilizer. Doves were also sacrificed in rituals. 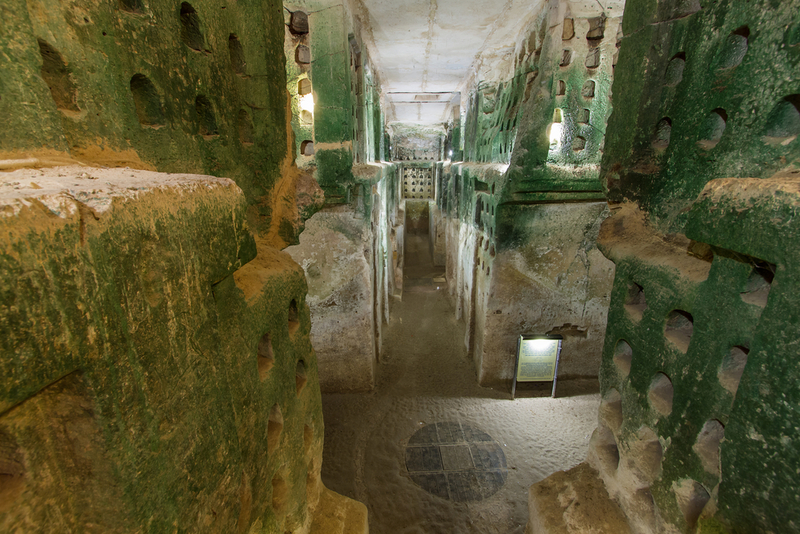 There are some 85 columbarium caves in Maresha with tens of thousands of niches. 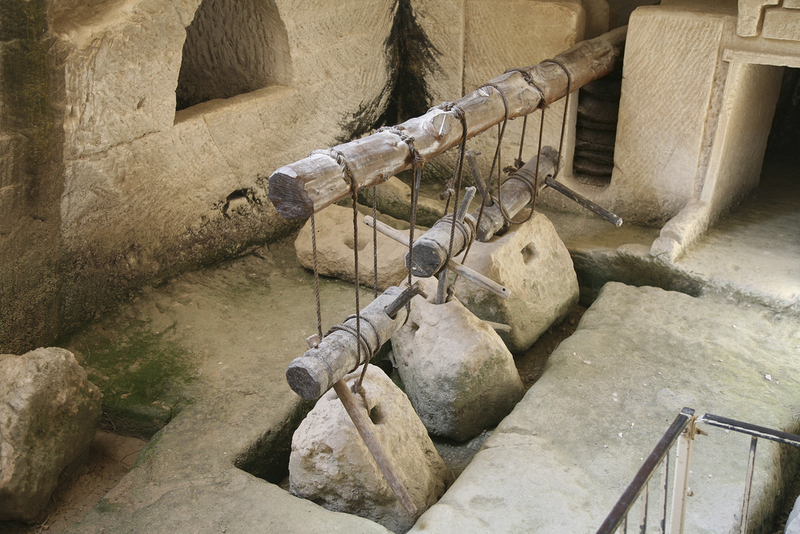 This is one of 22 underground oil presses discovered in Hellenistic Maresha. Olive growing was a significant source of income in Hellenistic Maresha (3rd to 2nd centuries BC), but the caves are older still. Olives are first placed in a rock basin and crushed from above with another rock. The crushed olives were then put into woven baskets and squished under a broad beam. The oil and water extracted were collected in rock hewn basins beneath the baskets. 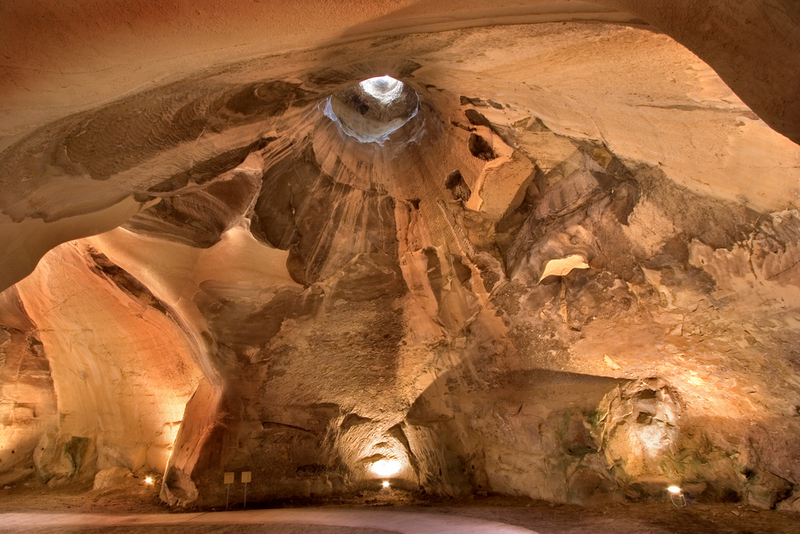 This cave was used as a dwelling and for commerce in the Hellenistic period. The ground floor consist of rooms arranged around a small central courtyard. A staircase led to a second story and another rock-hewn staircase descends to the cisterns located under the dwelling where rainwater was stored. The rainwater was collected from nearby alleyways, the roof and the courtyard through clay pipes. The house is partially preserved by plastering the outer walls to protect the soft chalk rock from weathering. 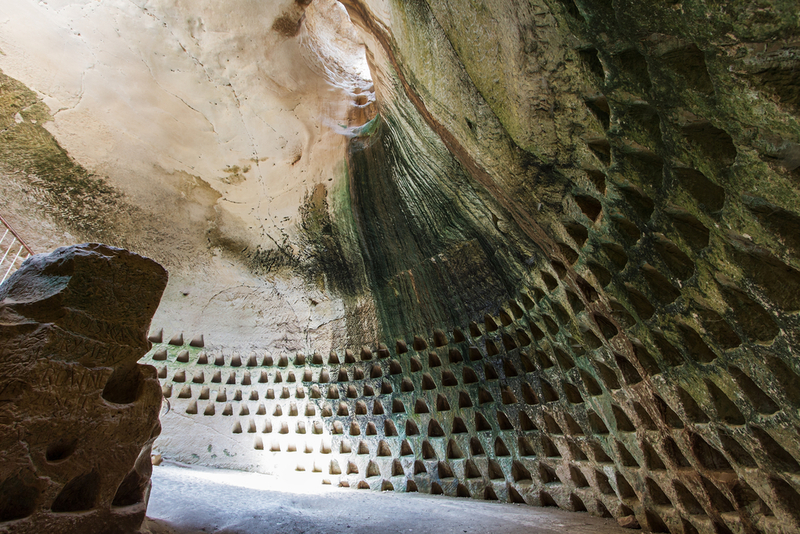 These are the most famous caves of the Bet Guvrin area, so called because of their characteristic bell shape. 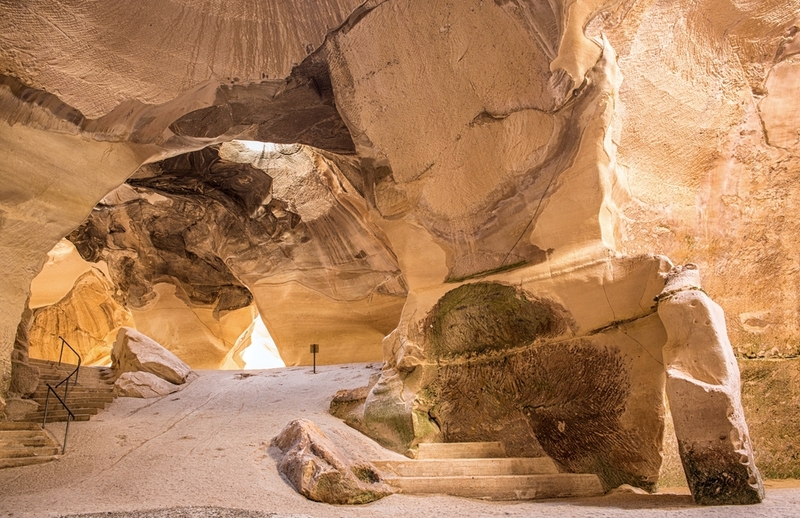 The caves were used mainly as quarries and provided building material for cities on the coastal plain and for Bet Guvrin itself. 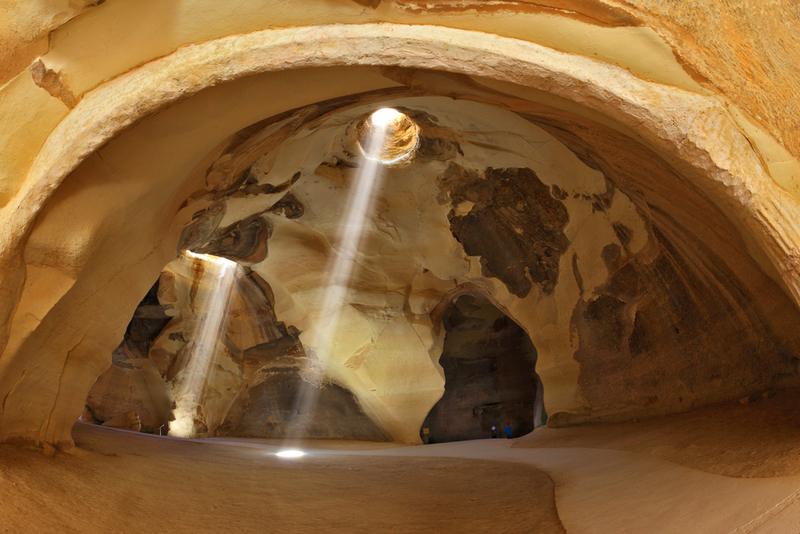 There are at least 800 bell shaped caves in the park area, some of which are linked by underground tunnels. 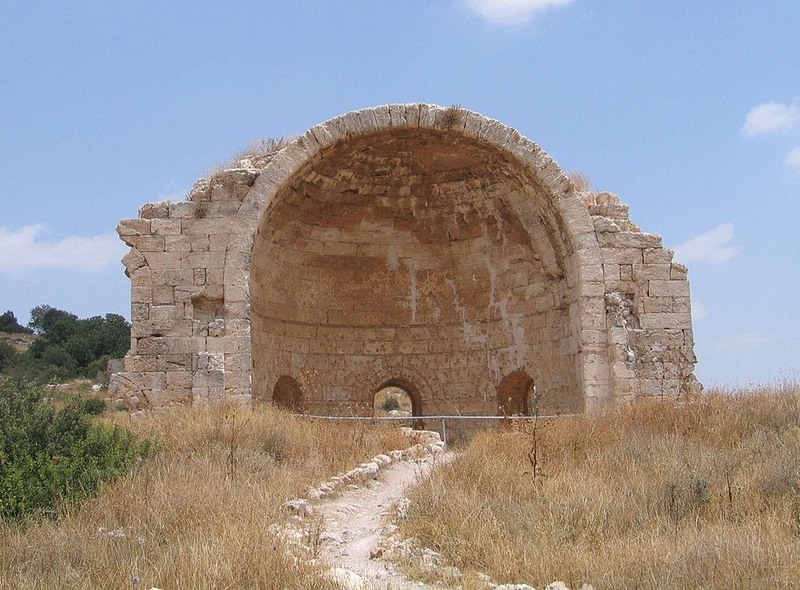 Aside from caves, the Bet Guvrin area contains a Byzantine-era church dedicated to Saint Anne, now in ruins, a Roman amphitheater with a seating capacity for 3,500 spectators, a Crusader fortress and a Roman-era bathhouse covering over 4,000 square meters. The entire archaeological site containing some 3,500 underground chambers is listed as a UNESCO World Heritage Site.